Creatures from other worlds don’t necessarily beat creatures of the sea. KeyBanc Capital Markets said Monday that the waters ahead appear just fine for SeaWorld Entertainment Inc (NYSE: SEAS) despite the opening this coming summer of a Star Wars-based theme park attraction that could be a competitor for the attention and dollars of vacationing families. 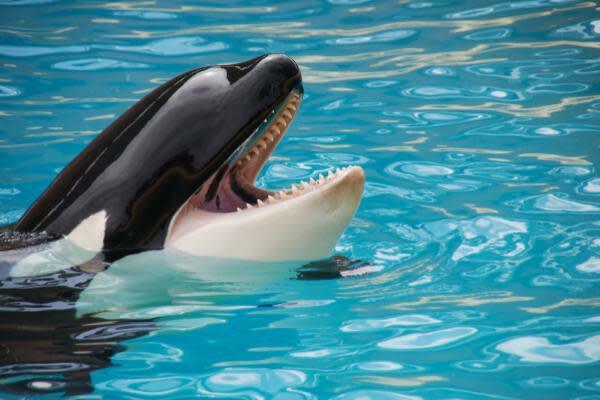 KeyBanc’s Brett Andress reiterated an Overweight rating on SeaWorld with a $37 price target. The concern is the opening in August of Star Wars: Galaxy’s Edge, a new “land” built around the movie franchise at the two Walt Disney Co. (NYSE: DIS) resorts in Florida and California — near Sea World's parks, Andress said in a note. The Galaxy’s Edge parks-within-a-park will be at Disney’s Hollywood Studios at Walt Disney World in Orlando and at the Disneyland Resort in San Diego. Disney previewed the new "Star Wars"-based attractions this week, showing off planned immersive experiences. The California Galaxy’s Edge attraction will open May 31, earlier than previously expected, and the Orlando version will open Aug. 29, the analyst said. While it might seem like a huge new attraction would harm attendance at Sea World, Andress said it could actually have the opposite effect in Florida and not much effect in California. “Our analysis of about 30 years of park-level attendance and market data give us increased confidence that Star Wars will serve to grow the Orlando market and benefit SEAS,” the analyst said. "That is, some number of additional families headed to Orlando to go to Disney’s Galaxy’s Edge, are likely to also hit up Sea World"
Disney has put blackout dates on the new Star Wars attraction for local passholders, Andress said, which could benefit Sea World. Sea World Entertainment shares were trading up 1.31 percent at $23.92 at the time of publication Tuesday.